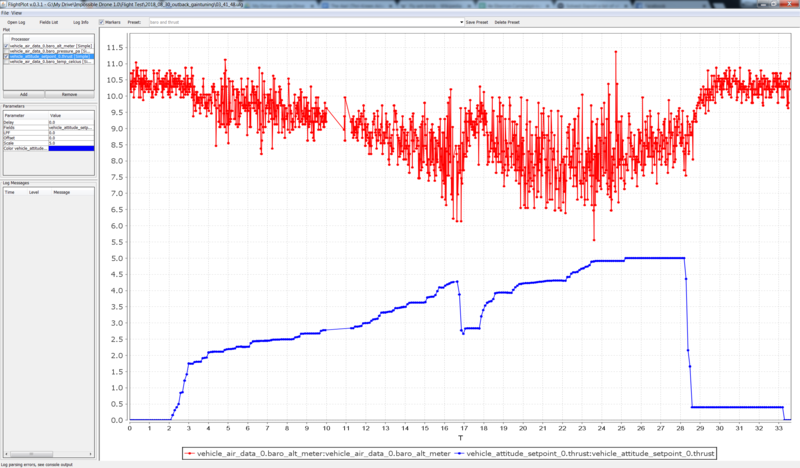 You can see at the end of the log file the barometer altitude shoots up and the vehicle plowed into the ground. My question is: Why does this happen? How can I correct for it? Barometric pressure sensor is highly sensitive to its surrounding air flow. If propellers starts turning, some of air around fc would flow into the gap of the fc and affects pressure readings. 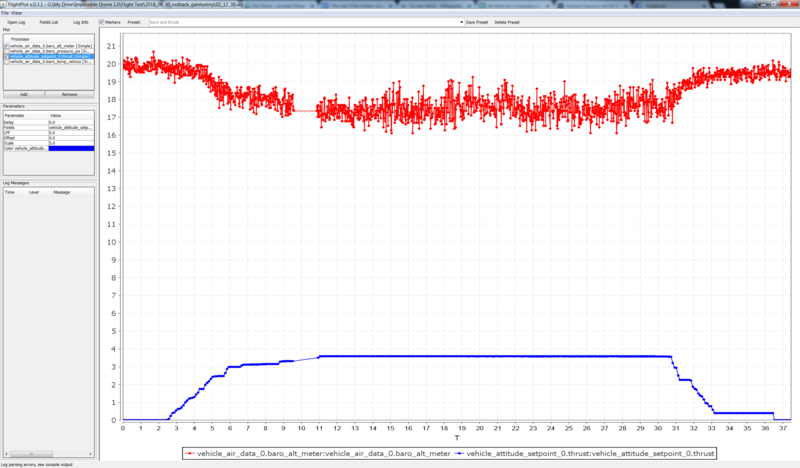 As higher pressure indicates low altitude, it would be normal to see altimeter goes down when propellers just started. One way to solve this issue is place a sponge or stack of tissues around the sensor but not completely blocking the sensor. Also note that these sensors are known to sensitive to direct sunlight. So make sure they are covered with some dark materials too. I'm using a Pixhawk Cube. Should I just try wrapping that in some sponges, since the barometer is inside? Do you have any pictures or references I could look at?